Let’s face it, gaming with a TV remote is mostly a novelty and frustrating for anything more complex than simple games. If you want to unlock the gaming potential of your shiny new Apple TV you need to pair a real game controller. Read on as we show you how. Note: This tutorial applies to the 2015 4th-generation Apple TV hardware update and the subsequent updates running tvOS. The new Apple TV is pretty beastly as far as media centers go and definitely more powerful than some of the older generation iPhones and iPads people still play games on every day. 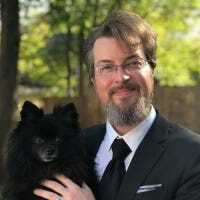 While the primary reason most people get an Apple TV is for media playback there is a whole world of polished games out there to take advantage of. Although Apple has done a fine job ensuring that all developers make their Apple TV games fully compatible with the new Apple TV remote the problem is that despite the quality of the remote and the pretty solid support developers have put behind it, it’s still a little remote that feels way more like a TV remote than a comfy ergonomic game controller. It works great for simple games like Crossy Road but not so great for more advanced titles. We’re not really going to put the finger at Apple over this as you’ll have just about the same experience on every other modern media center that has remote-based-gaming (like the Amazon Fire TV and the Roku). Aside from basic button pushing and some Wiimote-like swinging around using the built-in sensors. Fortunately it’s super easy to pair a compatible Bluetooth controller with the Apple TV. Let’s first take a look at some compatible controllers and then we’ll walk you through pairing one to the Apple TV. All Apple TV games must support the new Apple TV remote but not all Apple TV games must support third party Bluetooth controllers. The easiest way to identify whether or not a game supports third party controllers is to reference the game’s entry in the the App Store on your Apple TV. In the screenshot above you can see the description for the game Rayman Adventures. Each game entry in the App Store that supports third party game controllers will have the text in the app description “Game Controller Optional”. At launch Apple is officially promoting one controller, the SteelSeries Nimbus ($50) which is designed specifically for the Apple TV. Just because Apple is promoting informally as the official controller for the Apple TV, however, doesn’t mean you can’t use other Bluetooth controllers. As long as the controller is MFi certified (which is Apple’s certification process for iOS/Apple compatibility) it should pair just fine with the Apple TV. So while we’re using the SteelSeries Nimbus you could also try out any existing MFi-certified Bluetooth controllers you have first before purchasing a new one. You might also want to take a peek at the MadCatz C.T.R.K.L.i ($48) and Mad Micro Catz C.T.R.L.i ($50) as well as another compatible SteelSeries controller to SteelSeries Stratus ($56). While the quality on these Bluetooth controllers is high they aren’t exactly cheap. We strongly recommend grabbing any Bluetooth controllers you may happen to have on hand and giving them a go. If they don’t pair or they work poorly for your games then you can always look at upgrading. Now that we’ve taken a peek at how to check for game compatibility and controller compatibility, it’s time to pair our controller to the Apple TV. Fortunately it’s a simple process and you’ll likely spend far more time picking out your controller and your games than you will setting up the controller. To set up your controller start at your Apple TV’s home screen and navigate, using the trackpad on your remote, to the Settings icon. Select “Remotes and Devices” from the list in the main Settings menu. 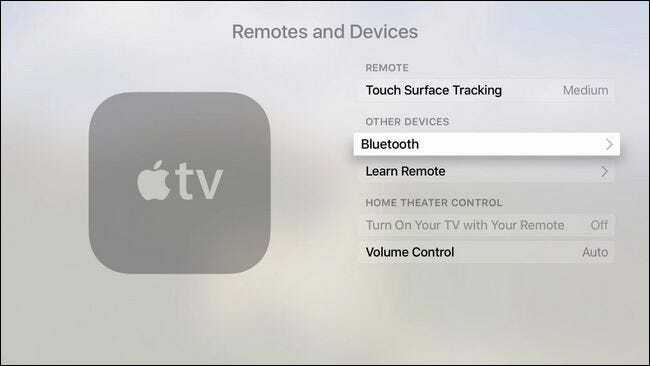 Within the “Remotes and Devices” menu select “Bluetooth”. 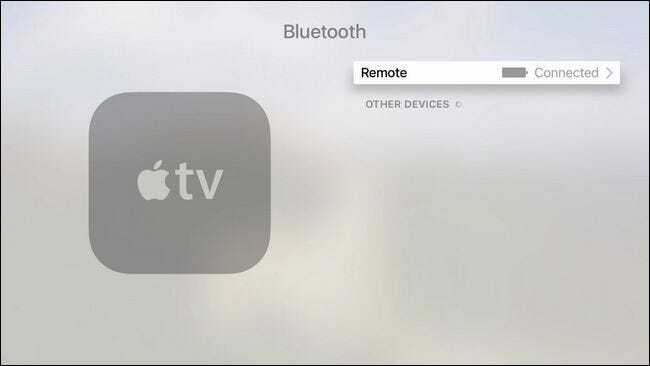 Here you will see all the Bluetooth devices currently paired with your Apple TV. 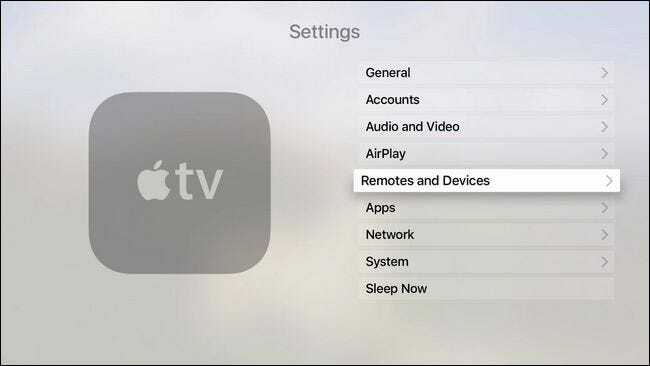 We have no devices currently pairs beyond the stock Apple TV remote (which, as seen in the screenshot above is connected and fully charged). Now is the time to grab your third party remote and initiate the pairing sequence. Typically your controller will be put into pairing mode either by pressing a dedicated pairing button (often times hidden under the battery compartment or a small out of the way button at the top of the controller) or you’ll hold down the home/menu button. 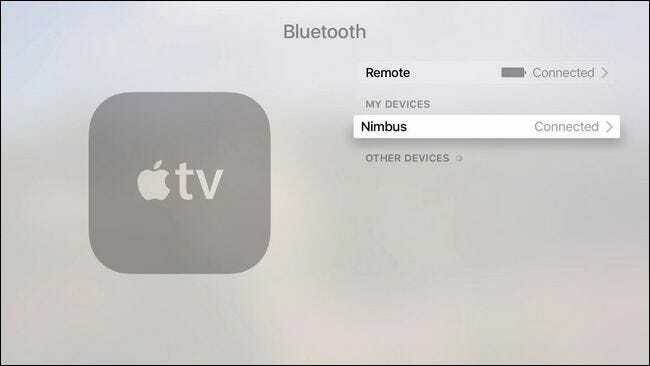 In the case of the SteelSeries Nimbus there is a dedicated pairing button located on the top of the remote as seen in the photo above. Hold down the button for several seconds. After a few seconds the device should appear on the Bluetooth device menu under “Other Devices”. We’re almost done with the pairing process. The final step is to select the item that just appeared in your device list, as seen in the screenshot above, and click the trackpad button. After selecting it, which is your way of confirming the pairing on the Apple TV side of things, you’ll see “Connected” next to the entry in the “My Devices” list. At this point not only is your controller successfully paired with your Apple TV and ready for game play fun but you can also use the controller to navigate around the Apple TV (much like you use the controllers on full game consoles like the Xbox One to maneuver around the console dashboard). Have a pressing question about your Apple TV? Shoot us an email at ask@howtogeek.com and we’ll do our best to answer it.